Much like picking out the right dress for your body shape, knowing your face shape is just as essential when choosing the hairstyle that will suit you best. Asgar Saboo, celebrity hairstylist to the likes of Cindy Crawford & Eva Longoria shares his expertise on how to choose the right hairstyle to make you look your absolute best. An oval face has long been the known as the most desired face shape in the beauty industry and it is probably the most versatile when choosing a haircut to compliment. 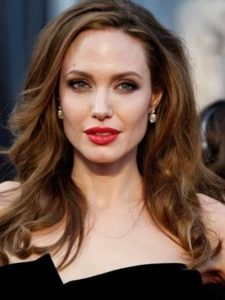 An oval face is longer than it is wide with not much jutting definition around the cheekbones and a slightly wider forehead than chin. How to wear your hair: A center parting on the crown of the head is a great look for the oval shape as it keeps the face symmetrical. Adding texture using layers and waves helps to prevent long hair adding too much length to the face. This big, beautiful hair is a winning combination and all you have to take care of keeping the hair looking super glossy and shiny. Volume to the hair can also be added by also using a good stronghold hairspray or salt spray to give extra texture. The characteristics of a square face are that the sides of the face will be straight and the face will be nearly as wide as it is long. The jawline is defined, with only a minimal curve, therefore a square face shape requires haircuts, styles and makeup that will help to soften the strong angles that are characteristic of the shape. How to wear your hair: Wavy ends are a perfect style for a square face especially from the ears down, which helps obscure any harshness within the jawline. Use a large round brush to smooth hair, then spritz on a wave spray to fix into place. A square face can also pull of a tousled look, by running and shaking your fingers through the hair with a styling cream to emphasise layers and soften angles. When it comes to haircuts for long face shapes, the aim is to balance out proportions. This is to soften the angles and make the face look rounder and more oval in shape. A long face shouldn’t go for hairstyles that are overly harsh. How to wear your hair: Fringes are great at shorting face length, with soft curls and waves in longer hair also helping to lift facial features. Upping the volume of the hair at the sides will give the illusion of a shorter face shape. The grown-out fringe look is the most on-trend this summer and the most flattering cut for a long face. Having long fringe sections cut to hang just below the cheeks will really balance out features and by flicking them away from your face with straighteners to give them a slight wave will soften the finished look even more. Tip: Avoid adding volume at the crown of the head as the last thing you want to do for a long face is add extra height. The characteristics of a round face is that it’s just about if not the same in width as it is in length with no major corners at the jaw. The perfect hairstyle for a round face should make your face appear longer and more oval-shaped, which is exactly what chest-length hair does. How to wear your hair: Long layers, highlights, side fringes, partings and a bit of texture will help to break up the width of a round face. Even up dos can make your face look longer and by keeping some face-framing strands around the face will help to soften any up do. Tip: Avoid blunt fringes and one-length cuts as these styles will only accentuate the width of the face and make it look rounder. By keeping a little hair out in fount of the ear on one side of the face and not tucking it back will make the face asymmetrical, which will also help break the shape of the face up. The characteristics of a heart shape face is that it is widest in the middle where the cheeks are along with a pointed chin. A heart shape face could also be a broad forehead that narrows at the bottom where the chin and jawline are. How to wear your hair: Choosing a style that will create volume around the bottom of the face will balance out features. The cut should not be too long as this will drag the facial features down. Creating loose waves around the bottom of the face will help to create the volume and not look overly styled for an everyday style. Much like the long face shape, the heart shape face needs to avoid adding height to the hair as this will give the appearance of a longer and narrower chin. A heart shape face is one of the most desired shapes as cheek bones are more prominent, which should be emphasize. 19 queries in 0.588 seconds.